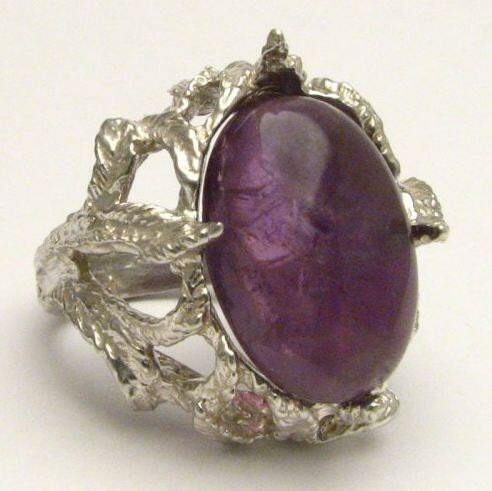 Handmade Claw Unique Designed Purple Amethyst Cab Solid Sterling Silver Cocktail Ring. Custom Sized to fit you. 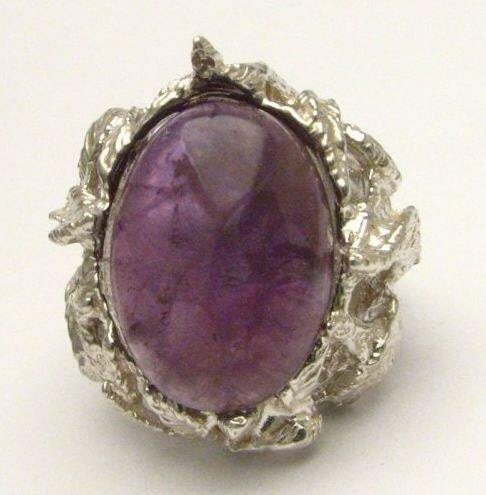 ► J and S Gems you will find ALL Handmade Jewelry , High Quality Jewelry from Rings, Bracelets, Pendants, and a few things in between. We do our best to provide 100% client satisfaction. Shipping and Sizing is ALWAYS FREE, and usually ships in 1 day (business day)! FREE Lifetime Warranty and FREE Annual Cleaning. We are VERY Proud to be a Mom and Pop shop! 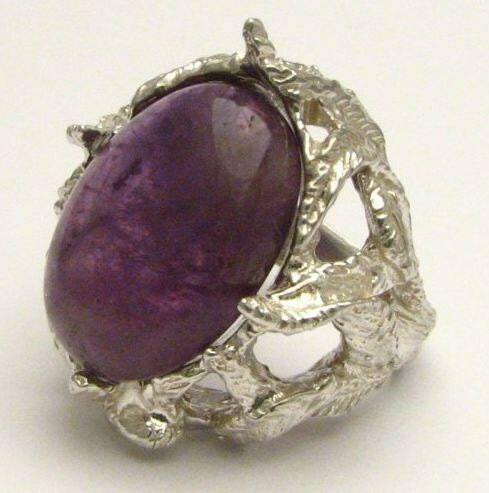 *Handmade Claw Unique Designed Purple Amethyst Cab Solid Sterling Silver Cocktail Ring. - Let me know the size that you need in the notes section of your order. These rings can be made in Sterling Silver or Gold just let us know. I make and set every one of them with real gems, if you see a setting you like and want a different gem in it they are not finished so I can put another gem in them. Let me know I can probably do it for the same price or real close. If you have old gold jewelry I can use that and make this in gold for you. Contact me for pricing. ► FREE 1 Day (business day) SHIPPING AND SIZING - ALWAYS! ► All our rings come with a lifetime warranty!! ► Sizing and Shipping are FREE and a 14 day NO Questions asked return policy. If you are not happy in anyway with what you get, please give us a chance to make you happy. We are a mom and pop, or should I say, a Grandma and Papa shop and this is how we pay our bills as well as spoil our grandchildren. So our goal is to make you happy, so you will keep coming back.